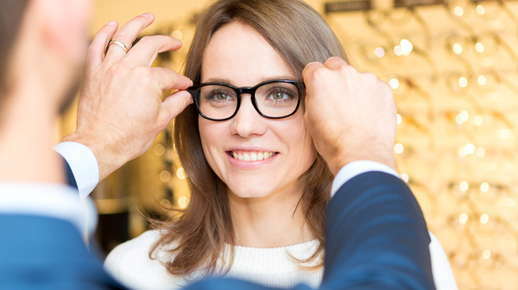 Eyeglasses are a timeless approach to vision correction. Their ease of wear and variety of styles make eyeglasses an attractive option for many. Typically used for vision correction, glasses come in many types and are classified by their primary function such as correcting refractive errors, magnification, sun protection and safety. They also appear in combinations such as prescription sunglasses or safety glasses with enhanced magnification. Sometimes glasses are worn simply for aesthetic or fashion purposes. Understanding the basics about eyeglasses allows you to consult with your eye care provider and make the choice that is best for your lifestyle.